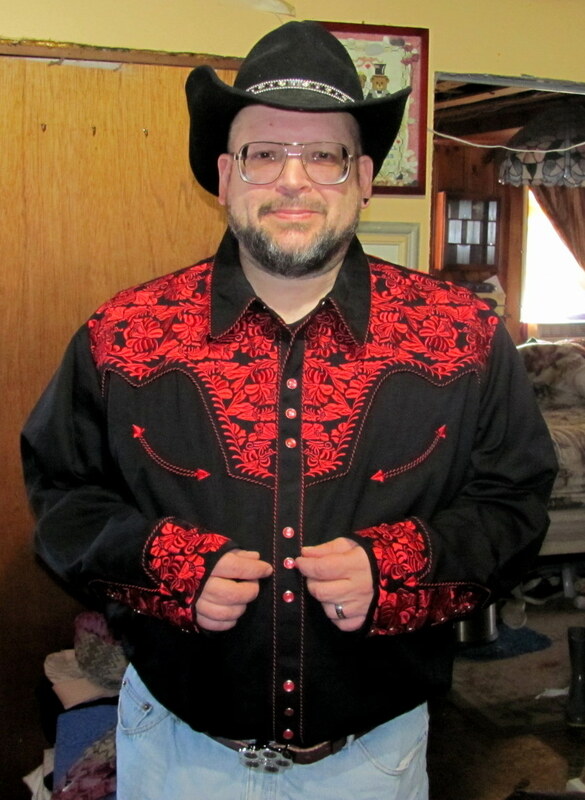 Who is that dashing cowpoke? 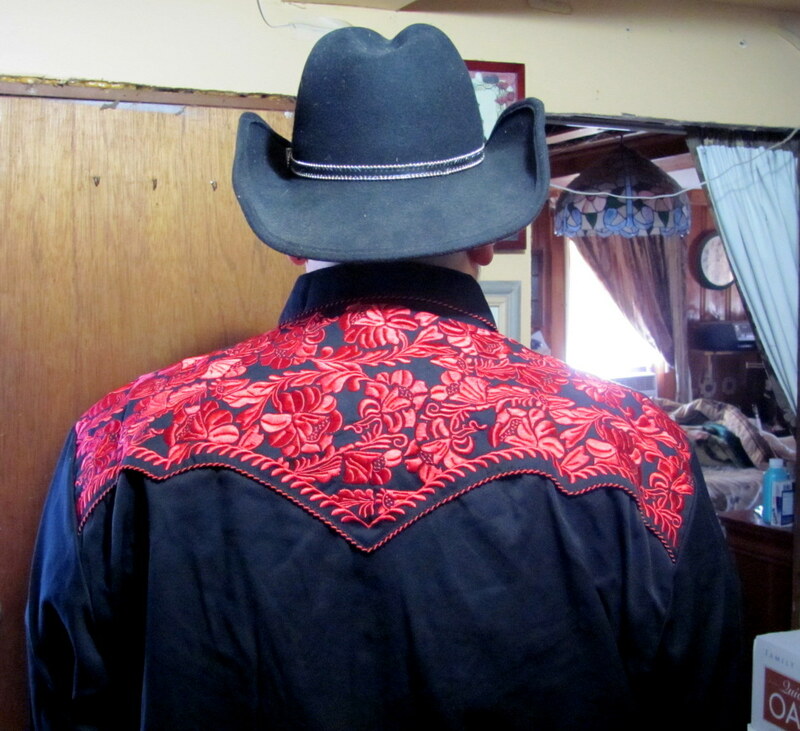 Posted bycubbyholes December 14, 2016 Posted inRandom Acts of ThinkingTags: christmas, cowboy, Sheplers, shirtLeave a comment on Who is that dashing cowpoke? My sweetie and I never make it until Christmas. It’s always been that way. This year, with moving and packing and all the stress of everything, we hadn’t even gotten around to making idea lists for each other. Two weekends ago was Country Roads weekend. I’ve posted all about that in this post. We had a wonderful time. There were several new shops and the most to visit in all the years we’ve been doing it. There were 21 stores participating this year. That’s a lot of shops to visit! As usual though, we had so much fun and everyone was so upbeat and nice. First up is my Christmas moose. I just fell in love with him when I saw him. Even the sweetie loved him. How can you not smile when you look at that silly face? 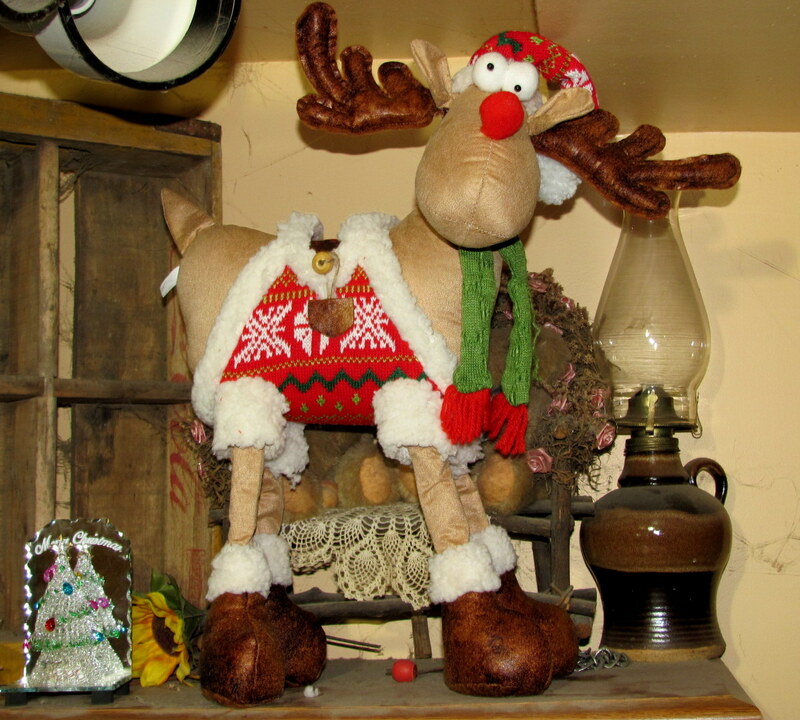 He has metal rods in his legs to give him stability and his antlers can bend a bit. I love his outfit and I love that goofy face. A little note about that little crystal Christmas Tree in the corner. When we moved to Massachusetts we moved right at Christmas time. A week before Christmas, in fact. It was very hard for me since we couldn’t put up any kind of decorations or anything since that sort of thing was long since packed. I love having some lights in the house. My sweetie came home one night and gave me a little box. Inside was this little tree. It lights up and sparkles. It completely made my Christmas. It was exactly what I needed. Every year since then. even if we don’t get around to any other decors, we have this little tree up. This year its been especially poignant since this is the last Christmas we will be in Massachusetts or this house. Again, my decors are all packed, but again, this little tree lights up my heart. I truly have the most wonderful husband that God ever blessed a woman with. 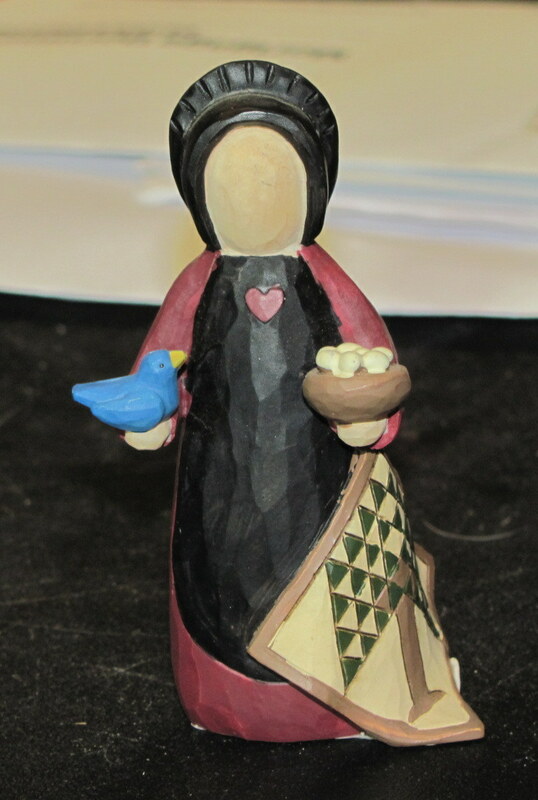 Next up is my little bird girl. There is one shop that has varieties on these every year. Last year they didn’t have any and I was so disappointed. I didn’t think they were going to have any this year again and it had been part of the weekend to pick up one more figure for my set. I was overjoyed to find that they did indeed get some in. So this little girl feeding the birds is this years contribution to my set. Whe n we first started going to Country Roads there were two alpaca farms. 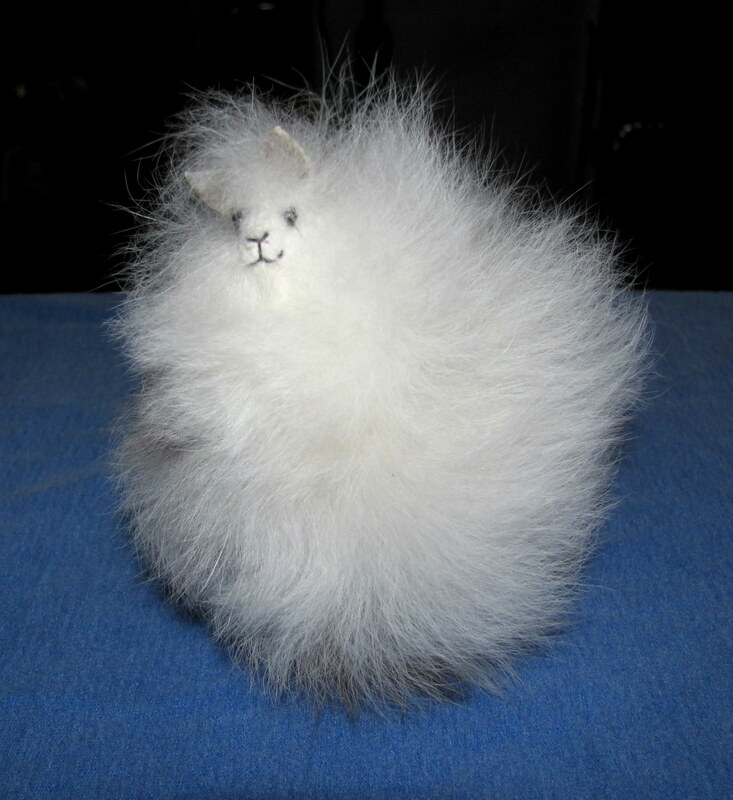 I would sometimes be able to buy some of their yarn and one year I won, as a door prize, my little Lorelei who is all alpaca fur. Don’t you just love her sweet little face? Anyway, last year they had no alpaca farms. Both farms had relocated. But this year they had a new alpaca farm! It was in the barn, and so were the chickens and alpacas. It was so much fun. So the sweetie bought me two skeins of worsted weight, 220 yard skeins each of 100% alpaca yarn from their alpacas. 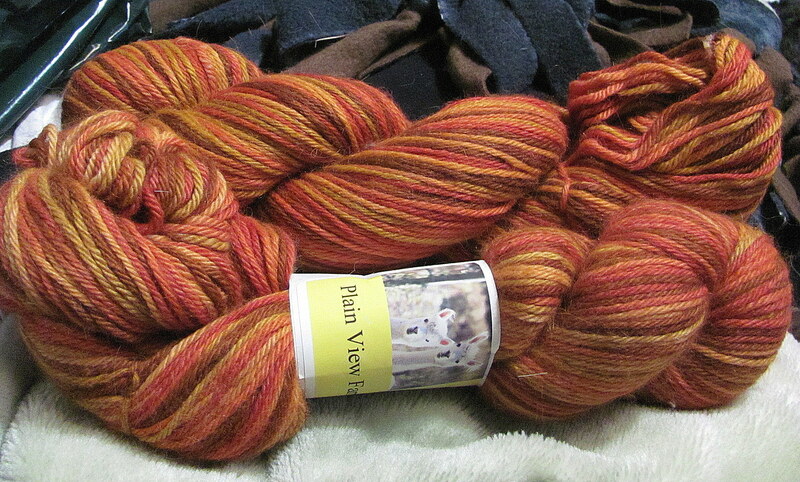 The colorway is called Pumpkin Spice ( I believe) and I love those colors. It’s so soft and luscious! Now to find just the right pattern for them. I’m leaning towards anicepair of warm socks. Here is the yarn. One of the shops is a quilting shop. Yes, I know….dangerous place to go. LOL. I don’t always get some material because its fairly dear, but I got some this year. 🙂 Aren’t they gorgeous together? 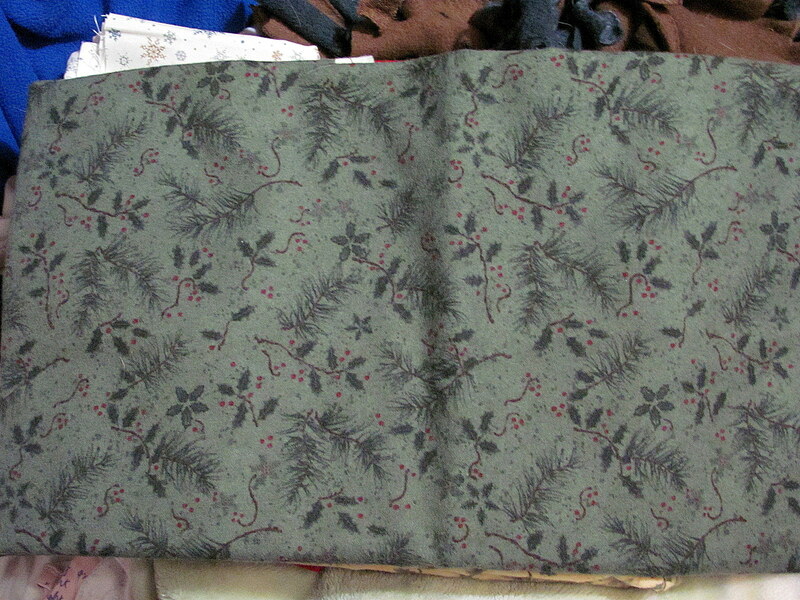 The three big pieces are all one yard and I’ll make something for our new house (wherever that ends up being LOL). 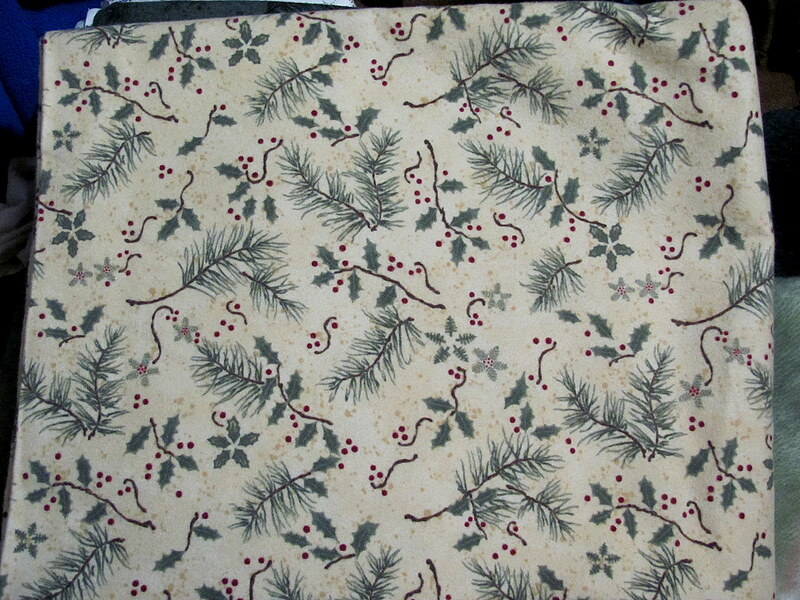 The two smaller are quarter yards. They always give away 1 quarter yard to each visitor to the store for the weekend and you get to choose from lots of them. The sweetie and I chose these two because they will look so pretty together. I also bought a yard each of these two flannel pieces. 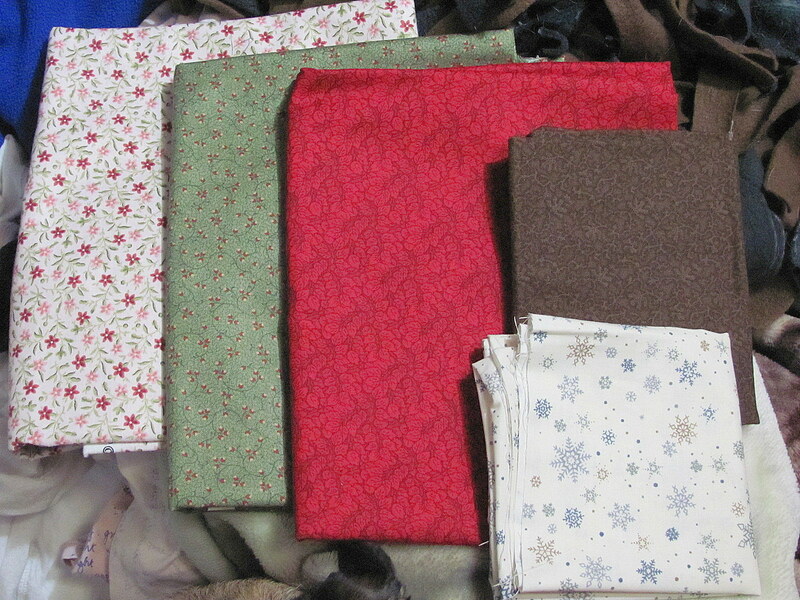 I just loved the colors and I adore flannel pillowcases so that’s what these will be. This is really nice heavy flannel, too, so they should last a long time. We also picked up our yearly Almond Christmas Cake from the Scandinavian Bakery. We save that for a once a year treat and they have so much trouble keeping them on the shelf that when they bring out the next tray of them everyone makes a dash for them. They are still warm from the oven when you get them. too. We started out at the apple farm near us, as usual, and had fresh apple dumplings and hot cider for breakfast. We were good this year and didn’t get any of the homemade fudge, but we did pick up a fresh apple caramel cake. Posted bycubbyholes December 14, 2016 Posted inRandom Acts of ThinkingLeave a comment on Early Pressies! It seems to have worked so here is that second post I told you about in the last post. 🙂 And if you didn’t read all the way to the end you will have no idea what I’m talking about. hehe. this is a Christmas pressie for a good friend. I found out she loves sea shells and I decided I wanted to do something with them. My original idea was to make a wire-wrapped fancy shell for a necklace but then I went in this direction. 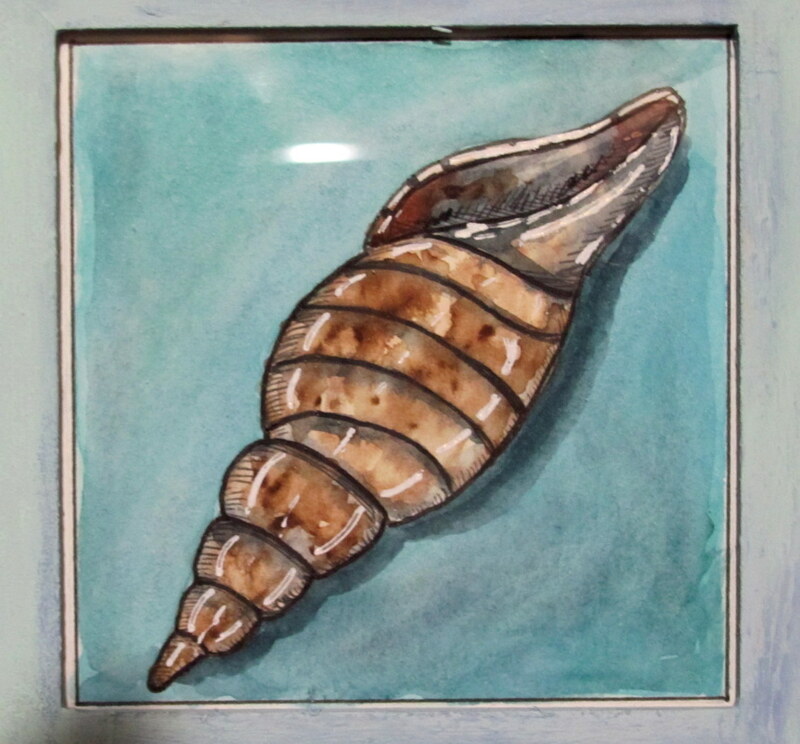 I’ve been really wanting to do some painting, but I was worried since I had never drawn shells before. I had the frames already so I painted them oceany colors. 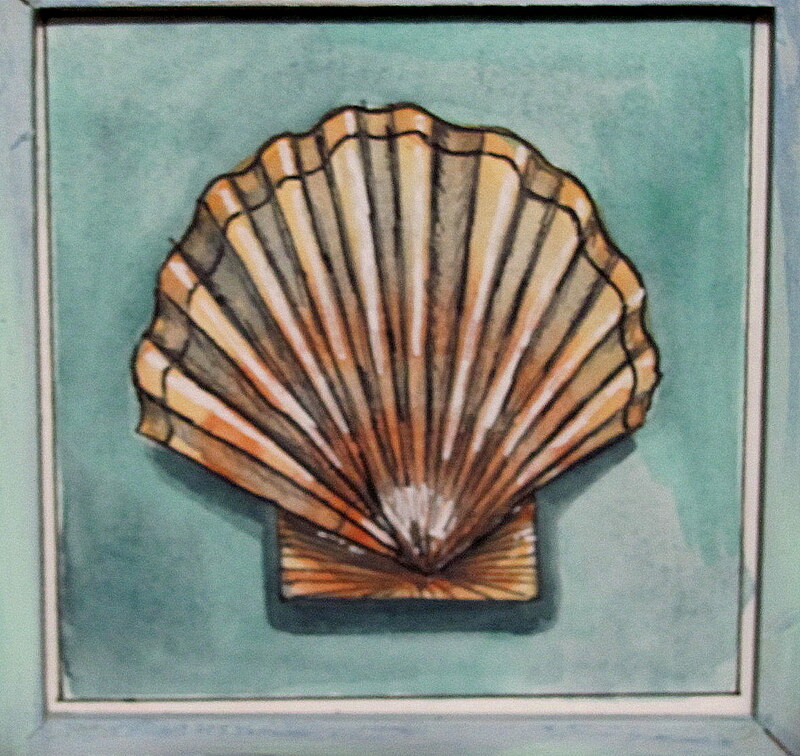 then I drew the shells, inked them and used Grumbacher watercolors to paint them. I used a white gel pen for some addition highlight and touched up some of the inked lines. I’m really happy with how it came out. What do you guys think of my first shells? 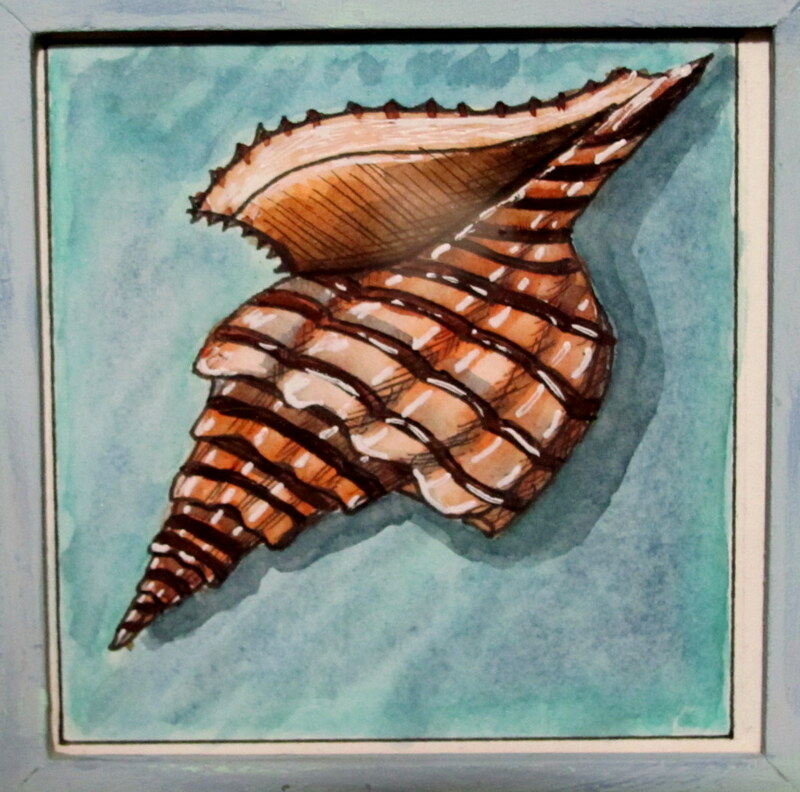 Posted bycubbyholes November 28, 2016 Posted inRandom Acts of ThinkingTags: grumbacher, Painting, sea shells, watercolorLeave a comment on Another FO!